look what came in the Mail today!! 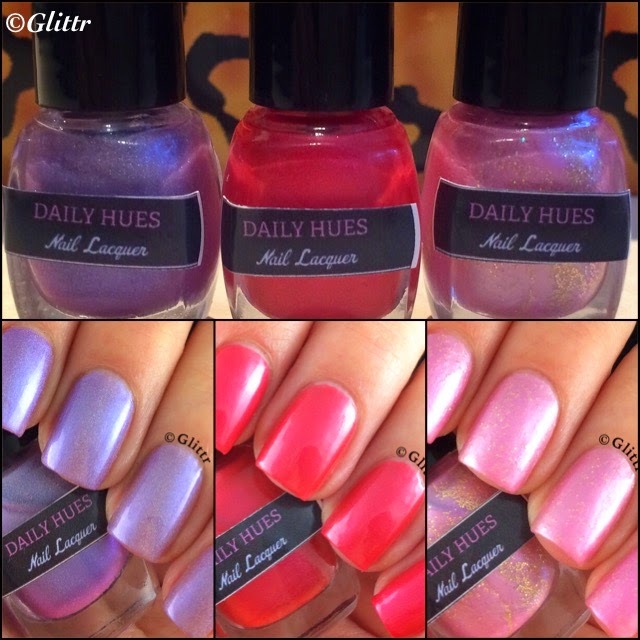 It’s the DailyHuesNailLacquer Valentines Day Trio! I immediately swatched these because I have been waiting for them quite a while, international shipping takes for freaking ever..! 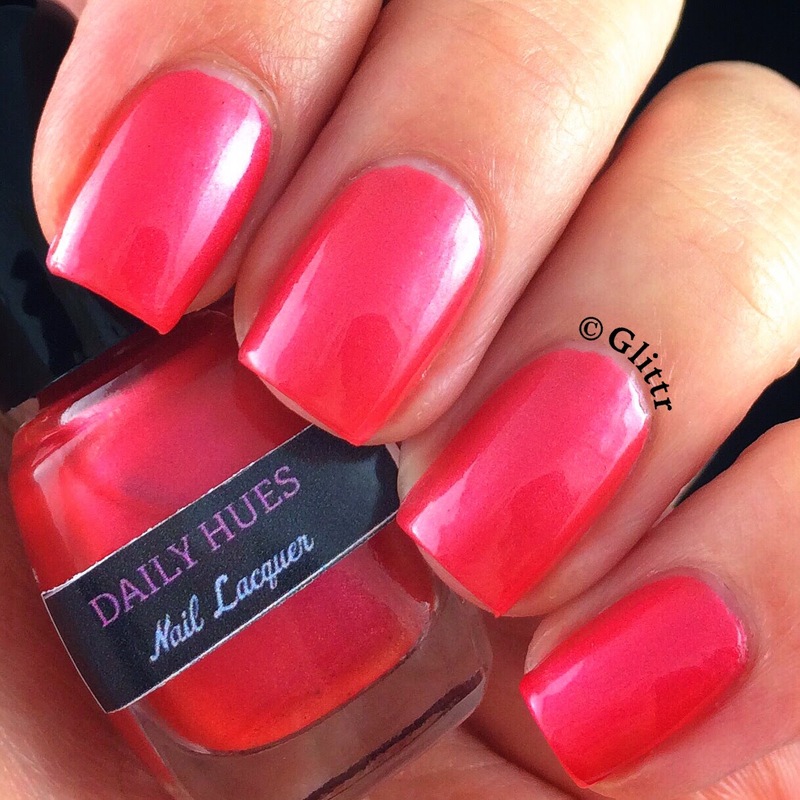 I’ve swatched a few DailyHues polishes a while back and they were gorgeous, if you want to check those out you can head over here. Jenn makes some beautiful mixes and they are very unique, if you haven’t heard of or seen any of her up until now, I highly recommend checking her out! 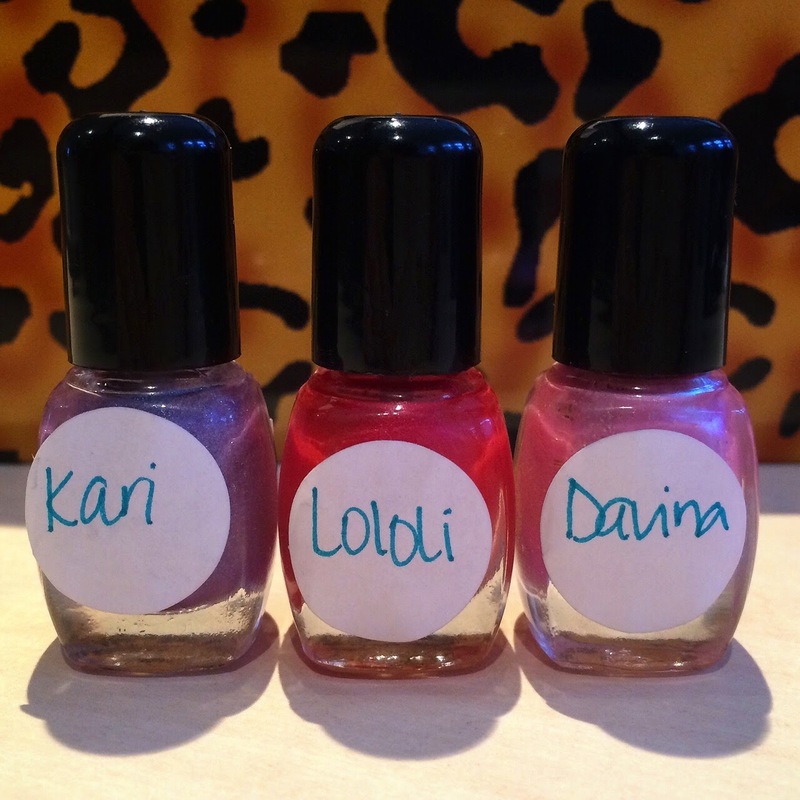 The three polishes are called Kari, Lololi and Davina – look at those teeny tiny bottles!! So cute! 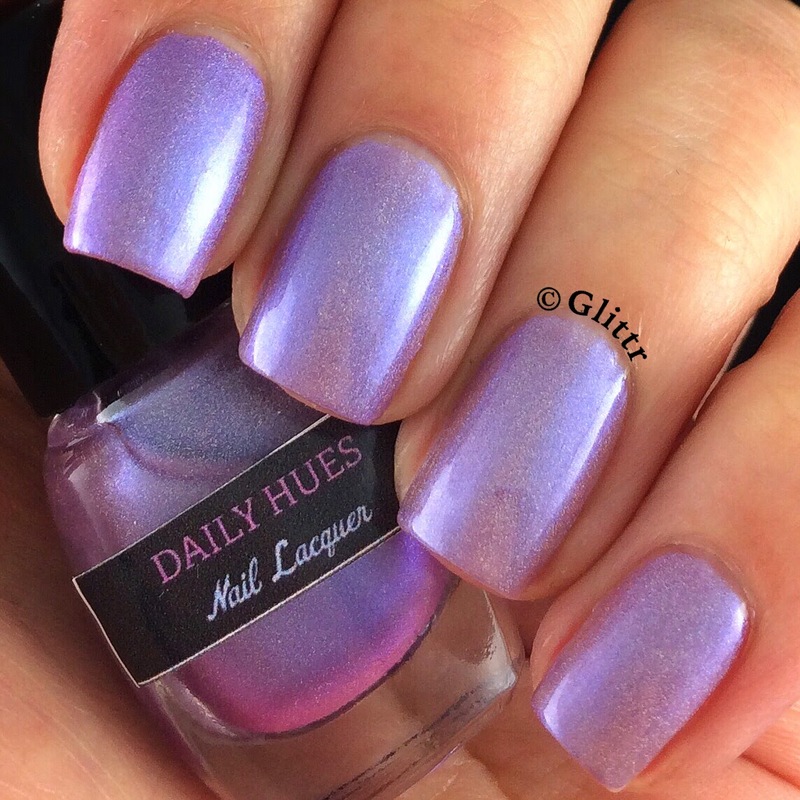 First up is Kari, a really gorgeous light purple holo. Shown are three thin coats. I think this is my favourite of the three, it’s just so pretty! Next is Lololi, a beautiful red holo. This is two coats and I love it! 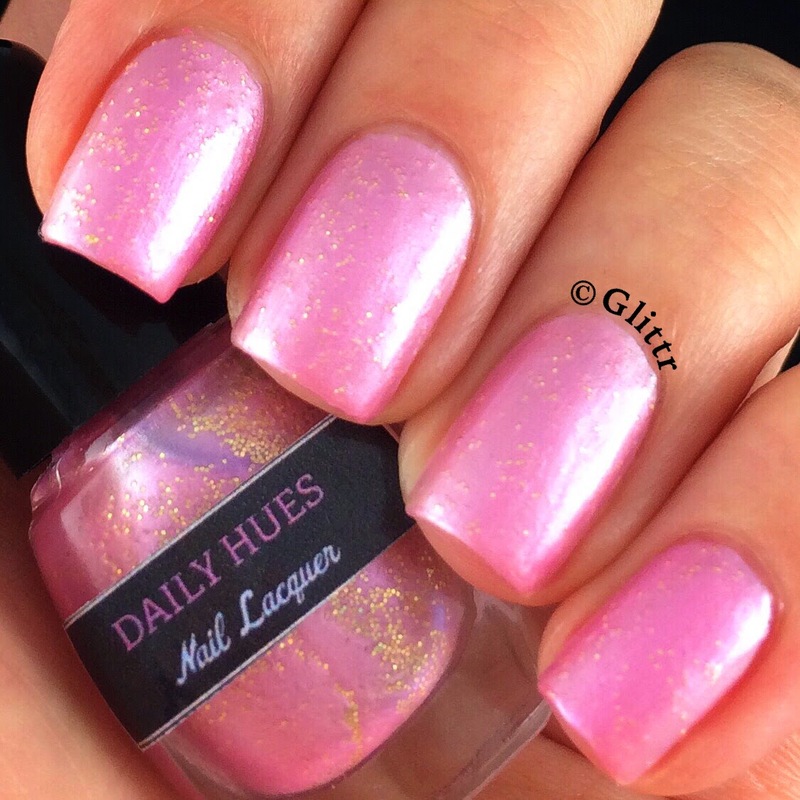 I don’t own anything like this and I think it’s perfect for all those Vday manis! Last but not least we have Davina, this is a pearly pink with gold glitters. Shown are two coats and I like the mix of pink and gold a lot, so girly! 🙂 I’m not normally into pearly finishes, but this one I really like! All in all I think it’s a really cute little trio and the colors are really pretty! They are all perfect for Vday and would look awesome with some nail art too!